P.J. Byrne A graduate of Boston College with a double major in finance and theatre and an M.F.A. in Acting from the prestigious Theatre School at DePaul University, actor P.J. Byrne has compiled a long list of impressive film and television credits. 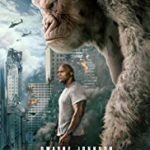 Byrne stars alongside Dwayne Johnson to save the world from global catastrophe in the action film Rampage loosely based on the video game of the same name. He can also be seen in 15:17 Train to Paris which marks the second time Byrne has worked with Oscar Award winning director Clint Eastwood. Byrne's latest movie is Green Book for director and writer Peter Farrelly. 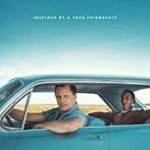 Green Book tells the story of a working-class Italian-American bouncer who becomes the driver for an African-American classical pianist on a tour of venues through the 1960s American South and stars Viggo Mortensen and Mahershala Ali. In 2014, Byrne starred alongside Leonardo DiCaprio in The Wolf of Wall Street for director Martin Scorsese and proceed to team up again with the famed director in 2016 on Vinyl for HBO. He also can be seen on Big Little Lies with Nicole Kidman and Reese Witherspoon, another HBO production and on the Showtime series I'm Dying Up Here staring Melissa Leo. Incredibly well versed in drama, comedy and science fiction/fantasy work, Byrne is one of the stars of the upcoming SyFy Channel series Temors, which also stars Kevin Bacon. Tremors is a television reboot of the film of the same name in which a small town is gripped with fear over giant underground worms living beneath them. Renowned for his pivotal scene-stealing role in Horrible Bosses, Byrne's character supports the stars of the film as they plot to kill their bosses. This film allows him to add Jason Bateman to a long list of important actors with whom he has had the opportunity to work. He has played opposite: Steve Carell in Dinner for Schmucks, Zach Galifianakis in The Campaign, Harrison Ford in Extraordinary Measures, Tom Hanks in Mike Nichols' Charlie Wilson's War, Will Ferrell and Nicole Kidman in Nora Ephron's Bewitched, Jack Black in Michel Gondry's Be Kind, Rewind, Jim Carrey in Bruce Almighty and Clint Eastwood in Bloodwork. Byrne was very well received for his starring role in the 5th installment of the phenomenally successful Final Destination franchise for Warner Bros. In the film Byrne's character meets one of the more unusual demises ever in the series of sci-fi horror films. Byrne's television credits include the fan favorite role of Irv Smiff, the driven sports agent, who represents a number of professional football players in the ongoing BET hit series The Game. Byrne is also adding writer to his resume having recently sold Brothers of the Bride to Newline, a feature film that he will co-write and star in which is being produced by Ben Stiller's Red Hour Productions. In addition to his on-screen roles, Byrne also voices "Bolin" in the Emmy- nominated Nickelodeon series, The Legend of Korra now entering its third season, and received a Behind The Voice Award for his portrayal of that character. He is currently the voice of Firestorm in new Cartoon Network hit Justice League Action. A Garden State native, Byrne was born in Maplewood, New Jersey and was raised in Old Tappan, New Jersey.